This statistic shows the results of a survey on the usage of illegal websites to stream or download films and/or series in Sweden in 2015. 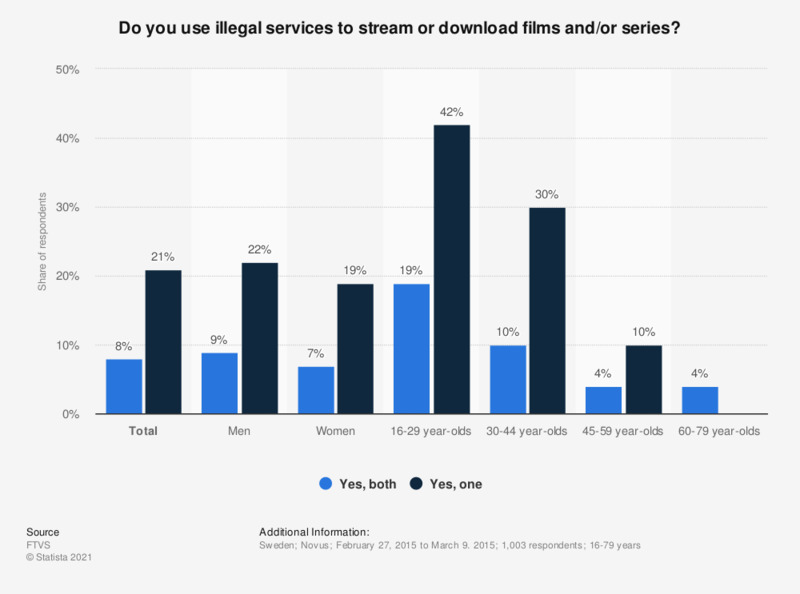 During the survey period in 2015, 9 percent of surveyed men in Sweden stated to use illegal services to stream or download films and series. This question was phrased by the source as follows: "Använder du illegala tjänster för att streama eller ladda ned film och/eller serier?"